IBM® Rational® Rhapsody® Designer for Systems Engineers helps you eliminate model defects by using animation features for design-level debugging. You can debug design at a higher level of abstraction with animation support. You can also view highlighted active states in statecharts by injecting events, calling operations and stepping through the model. It facilitates trade study analysis and architectural trade-offs using the parametric constraint solver for SysML parametric diagrams. 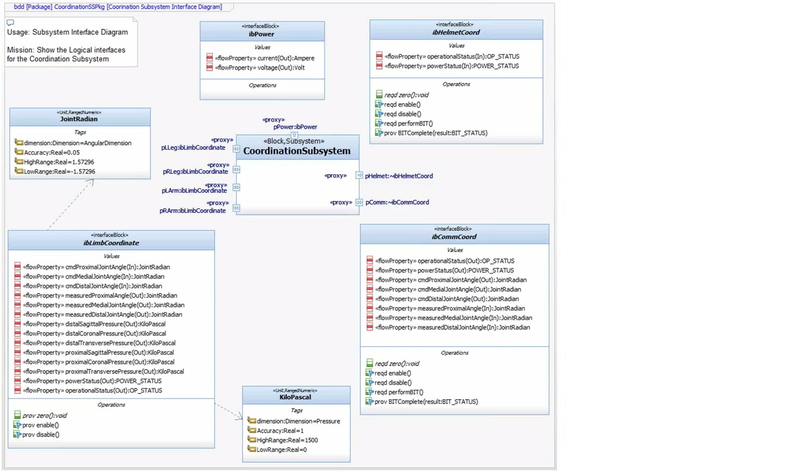 You can visualize complex requirements and maintain design consistency with SysML and UML modeling. The software enables you to store requirements in design elements and test cases, providing traceability information within the model. It supports full requirements traceability to and from the design, allowing you to view how a requirement change impacts the design. And it includes static model checking analysis, which helps improve model consistency and completeness. IBM Rational Rhapsody Designer for Systems Engineers helps you manage the complexity of developing consistent designs across different environments by allowing you to share and review designs with the extended team. It integrates design and development functions into one cohesive environment and features an advanced model browser to quickly sort, organize and edit models. The software also includes graphical model comparisons and merging of model elements to enable teams to work in parallel. Using this software, you will be able to visualize complex requirements with UML, SysML AUTOSAR, Modeling and Analysis of Real-Time Embedded systems (MARTE) or DDS. IBM Rational Rhapsody Designer for Systems Engineers supports DSL for creating unique diagrams and diagram elements. It also improves design consistency with the static model-checking analysis. IBM Rational Rhapsody Designer for Systems Engineers helps you integrate with other Rational products: IBM Rational DOORS®, IBM Rational Systems Architect and IBM Rational Team Concert™. You can create artifacts for US Department of Defense Architecture Framework (DoDAF), British Ministry of Defense Architectural Framework (MODAF) and Unified Profile for DoDAF/MODAF (UPDM). Develop graphical panels for visual mockups of a design using IBM Rational Rhapsody Tools and Utilities add-on software.